WE nominate 4 football-related projects that did great things this past week. YOU choose your favourite. Every week, on Twitter, we run the #MSSWeekly Awards. Here are the winners. 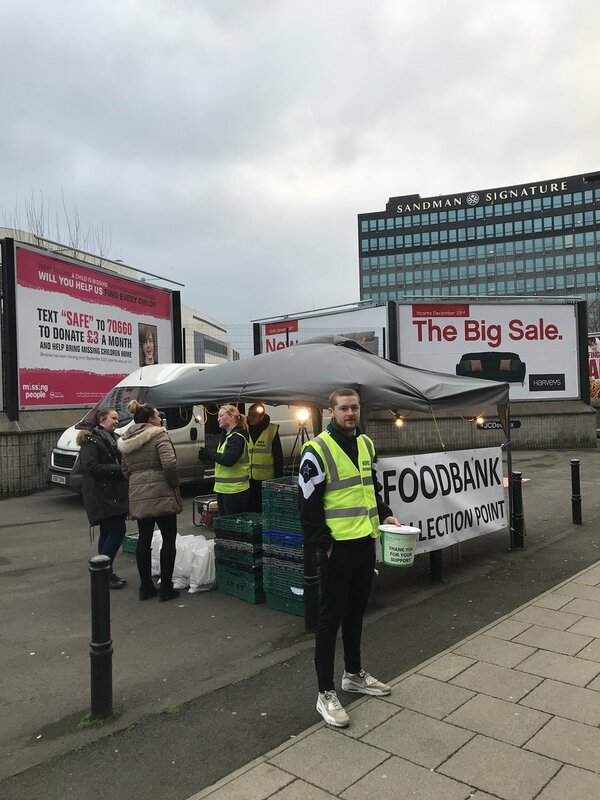 Newcastle United Food Bank. For their outstanding work week-in week-out before, during and after @NUFC 's games. The power of a fantastic community. Participants: 342. Winner: 89% of the votes. CAFE, the centre for access to football in Europe has been developing workshops and activities to raise awareness about access to football for disabled supporters across the continent. Parcticipants: 95. Winner: 40% of the votes. Alassane Plea. The @ogcnice player decided to donate 1% of his salary to the club's charity. A great gesture from a young player that has showed great awareness over time! Stenhousemuir FC and Warriors in the Community for their work in the local community. SFC and their education programme have shown real passion and commitment to their area and are a central actor of social life in Stenhousemuir. Robins Trust, @CTFCofficial. For raising £5000 for the British Lung Foundation. Participants: 253. Winner: 58% of the votes. The Celtic FC Foundation raised £8,500 with their "Walk on Fire" event to support the foundation's social support work! Celtic fans literally walked on fire and donated! Huddersfield Fans Foodbank. The alliance of @CowshedLoyal and @OfficialHTSA to create a foodbank is another superb initiative from a community that has showed great awareness on the matter. The Belgian Homeless Cup. They organised a tournament in Belgium for homeless people to have fun, play and win! A great event from the Belgian @homelesswrldcup member! The Scottish Professional Football League Trust for their great 4-4-2 Reading Challenge, pushing kids to read books in libraries to get free football tickets. Girondins de Bordeaux FC for organising the Heart Game, between club's legend Pauleta, Papin, Cavenaghi..etc and Real Sociedad's. All proceed will go to the University Hospital of Bordeaux. Participants: 731. Winner: 64% of the votes. Rangers Charity Foundation. For their work on #AutismAcceptanceMonth, raising awareness and encouraging fans to understand and accept autism. Foot D'Elles. A French organisation that promotes equal rights for all using football, with a special focus on sport participation for women. In 2018 they expanded outside of the sport world to impact even more lives!